Hey everyone, it's Sonia! Anyone that knows me knows that I am a huge lash person. I have naturally very small, fine lashes so from as long as I can remember I have been trying out mascaras so you can say I have tried every mascara out there...if not every, then most! So last year I started using Rapid Lash, it's a lash growth serum. I only got it to try and I started using it every night before bed on my top and bottom lashes. I saw a difference after the third month! I'm a falsies person so I will wear falsies all the time, I wear natural looking ones with a thin band so they don't feel like I have any lashes on. 1. 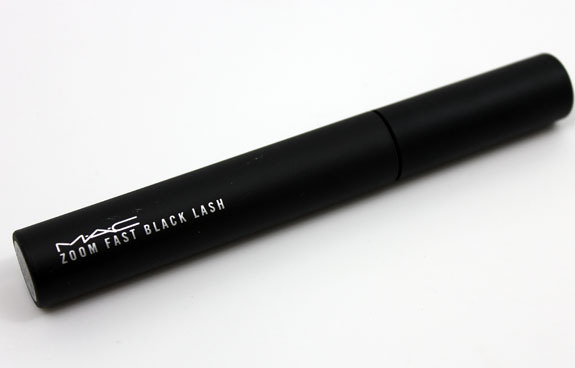 My all time favourite is MAC zoom fast black lash - This mascara lengthens and thickens without making them clumpy. LOVE this for my bottom lashes, it separates my lashes and it's super black! my number one mascara that I always restock on. 2. 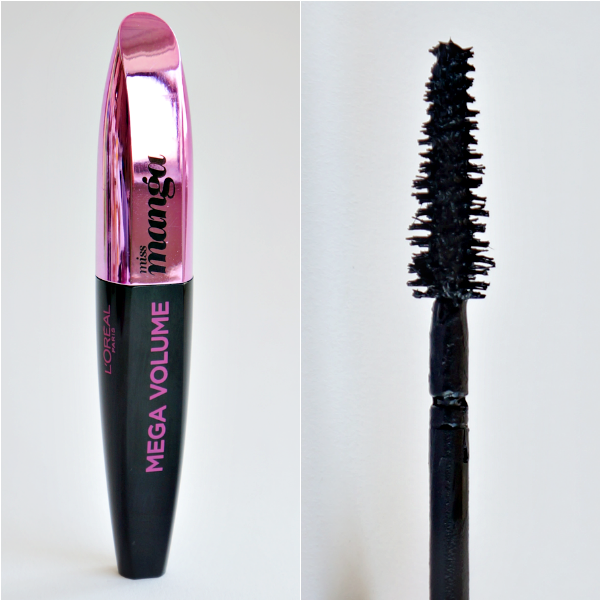 L'oreal Miss Manga Lash Lengthening Mascara - gets to every lash and i love the way the wand goes through my top lashes. I love the creamy formula of it and it gives my lashes that spikey effect that I love. You can keep building with this product and it's inexpensive. 3. 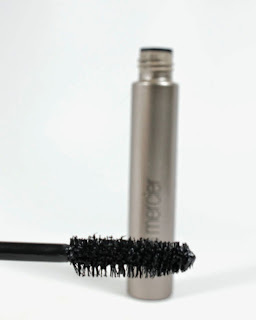 Laura Mercier Faux Lash Mascara - it does what it says on the tube! makes my lashes look like falsies. I use the black one and it comes in a brown too. I like the jumbo wand on this mascara, the bristles on the wand coat the lashes fully with only two coats. 4. Benefit They're Real - everyone's fave! love everything about this mascara, the wand, the colour, the formula, the fact i can apply as many coats as possible and it wont make my lashes look like insect legs. This one is the one I travel with because I have the mini one for travel, super cute and never fails to make my lashes look full and super black. These are my own opinions on the mascara's that I have used, just a quick review. just a post to tell you guys about my first Dubai workshop, how it went, what I taught and the whole experience in general. I had decided to do a two day workshop in Dubai for a while but had been super busy in London, When I finally decided to set a date I wanted it to be perfect. I wanted limited seats, when I say limited I mean I wanted no more than 20 because that's how I know huge beauty brands would take part. We had Giorgio Armani beauty as the official sponsor and our workshop was THE FIRST they had ever sponsored! I was so grateful, I had the whole Giorgio Armani makeup collection in my hotel room and I was actually in make-up heaven. During the two day workshop I did a total of three looks, I broke the looks down with detail teaching everything from skin perfecting to perfect blush application not leaving a single thing out. The attendees personally told me that this was their first detailed workshop where the artist told everything. Which is true, there are no secrets in beauty - my opinion. Covering eye bags was explained properly where I give examples on how I learnt and studying colour wheel. I discussed formula's of products, explained my way of perfecting middle eastern skin, did comparisons with products and answered every question in detail. The feedback I got after the two days was phenomenal! It was an 8 or 10 out of 10 from everyone including Lilly herself. As a makeup artist I love to share what I know, I know it will benefit every one and holding anything back would be unfair as I know a lot of you want to perfect your own makeup on yourself. Things such as types of lash glue and lash techniques are not what everyone will teach, I do like to say I am the trendsetter for some things, especially my way of teaching a class. 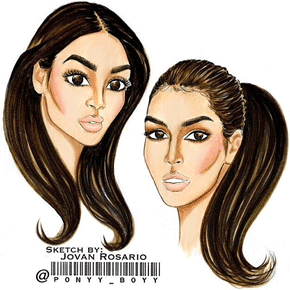 Hope to see some of you girls at my London masterclass! I have some AMAZING sponsors for that!